In my exploration of Dribbble I discovered something called the DailyUI Challenge. Basically, every weekday you’re sent an email with a UI related prompt inside (ie. check-out, calculator, sign up, landing page, ect.). The point of the challenge is to get you working with a variety of UI elements, hone your skills, and get you cranking out some work. I’m planning on posting my completed work on Dribbble and on occasion go more in-depth on the project or ideas behind it here on my blog. My first prompt was to create a sign up, and after much thought (clearly influenced by current cultural hype) I figured “Why not create a sign up for Star Wars?”. 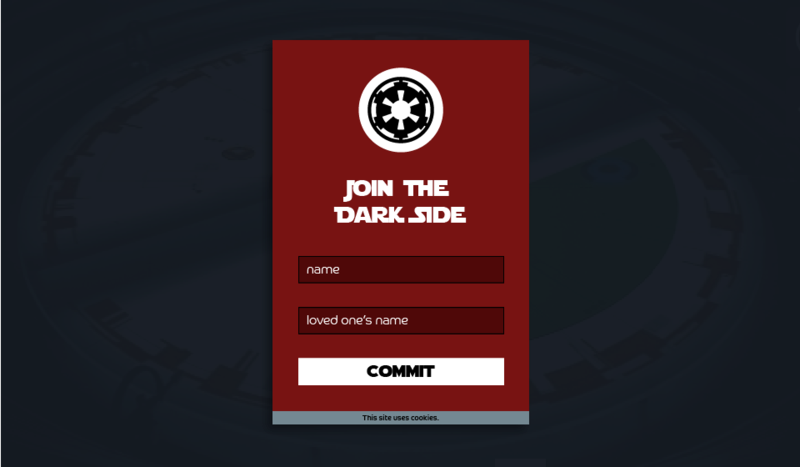 I was tempted to create competing sign up forms, one for the Empire and one for the Rebel Alliance, but in the end I decided to create only one. The initial designs were going to be heavily influenced by the interfaces that appeared in the original trilogy (4, 5, 6). 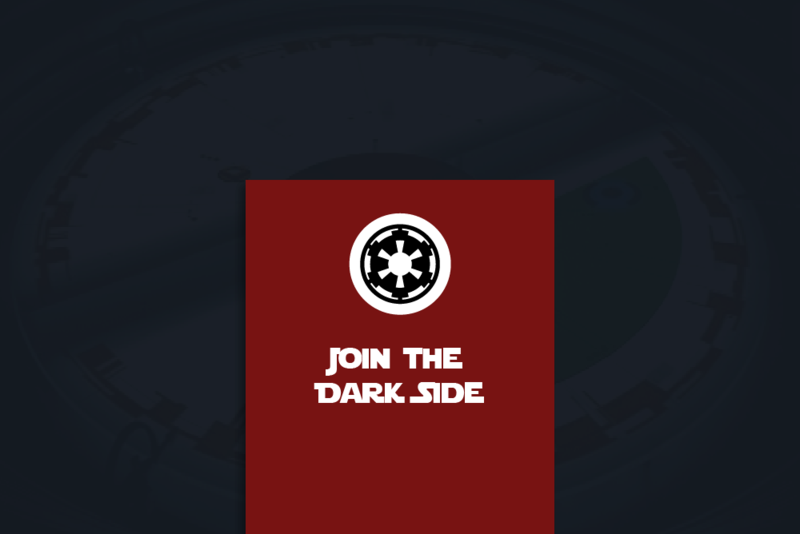 I took a collection of screenshots from the movies (it was a great reason to re-watch parts of them) with the intent of recreating the design style for my sign up form. In the end, I decided to make the form in my own style and took color inspiration from the original interface designs. It was fun to explore the UI elements that had been used. None of the technology looked as if it had been created by the same person and yet it all felt like it belonged in the same world. Some of the color palettes were really nice while others were filled with contrasting colors that would give you a headache just looking at them sitting next to each other. 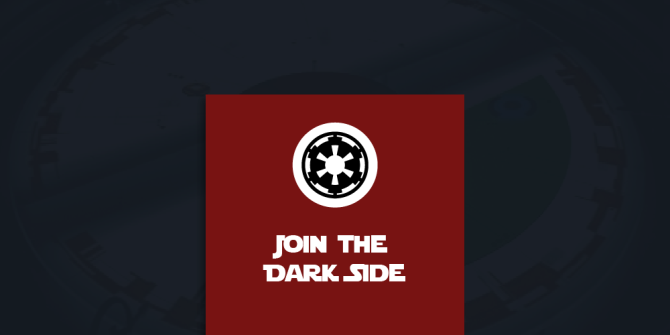 I wanted it to be really easy to sign up for the dark side, so I opted for only two fields to be present. The Empire really needs your name (whether or not they keep it in the future) and, in case your dedication to the dark side needs to be proven, they really need the name of your loved one. Any additional information could easily be found by the Empire or a form requesting that would be on a following page (maybe I’ll make that page in the future, could be quite fun to figure out all of the information the empire wants). I’ve posted my design to Dribbble, but I had to crop that down to fit. Here I can show you the whole page in better detail. Let me know what you think!